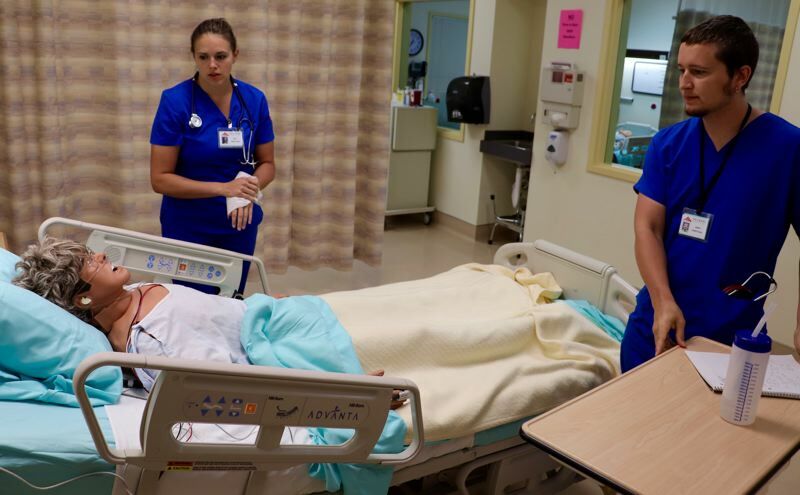 Gift will fund scholarships for nursing students at Mt. Hood Community College. Mt. Hood Community College will soon receive a gift estimated at more than $400,000 from the estate of one of the college's former administrators and his wife. "It's one of the largest gifts we've ever received from an individual," said Al Sigala, executive director for the college's foundation and alumni relations. The college does not yet know the exact size of the bequest from the estate of Roger McDowell and his wife Sonya. Roger died at the age of 75 in 2015 and his wife Sonya on Oct. 31, 2017, at 77. The donation has two parts. The college will receive all of the McDowell's retirement account, estimated to be more than $400,000. Those funds can be used in any way the college chooses. The college will also receive 35 percent of the remainder of the McDowell's estate, which is to be used for scholarships within the MHCC nursing program. McDowell was a long-term and distinguished member of the college community. "He was one of the original administrators of the college," Sigala said. McDowell taught chemistry at Reynolds High School in 1964 and was a chemistry teacher at Mt. Hood when it opened. He was assistant to the founding president Earl Klapstein and chairman of the science program. He served as president of the MHCC Management Association, the MHCC Faculty Senate and the Faculty Association. He retired in 1994. McDowell was honored as a patron saint of MHCC in 2011. Sonya McDowell was also an educator. She taught at Marylhurst College in Portland and was then the region educational coordinator for the Multnomah Education Service District. She chaired Portland Community College's consumer and family studies program and retired as dean of their business and government division. "This just shows how much she loved the institution and continues to do something to assist students in getting an education and reaching their goals," Sigala said. This was a planned gift, he explained, and it shows "how someone can consider doing something great like this so it lives on in honor of them."